Burger Patch specialising in burgers and crispy chicken. The cooking process produces high grease, high heat (Type 4) due to burger cooking over gas fired char grills. 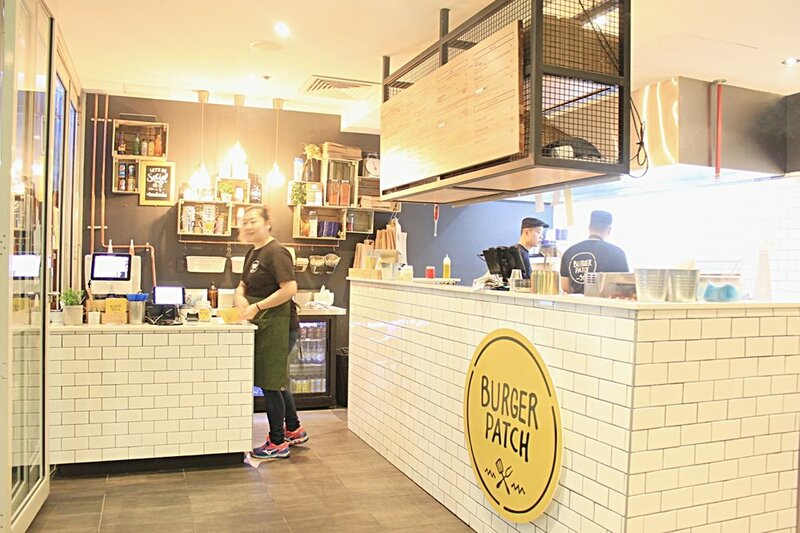 Burger Patch is a busy burger store in Chatswood. They flip over 1500 chargrilled burgers a week! When Burger patch first opened they were using a competitors filtration system. They found that very quickly they were receiving calls from local residents and local government complaining of the smell and smoke coming from the store. They turned to AOM to rectify the problem. Using the stores existing hood to save them money, AOM combined an electrostatic precipitator system with a further carbon and UV filter system in the ceiling to remove the excess particles, grease and odour prior to the exhaust leaving the building. The end result is a smoke free neighbourhood, happy neighbours and an even happier Burger Patch. Burger Patch has their electrostatic precipitators rotated and cleaned each month by our service team offering further support, superior functionality and ongoing extended warranties.